Pvt. 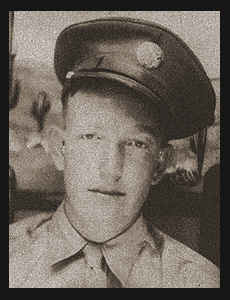 Harold W. Weathers, son of Mr. and Mrs. Coleman Weathers, graduated from Wapanuck High School. Entered Army in June, 1944, trained in Ft. Sill, Camp Gruber, Okla., and Camp Wolters, Texas; served in Italy; was wounded in action in Italy in April, 1945; is now on duty in Camp Robinson, Ark. Awarded Good Conduct Medal, ETO Ribbon with three Battle Stars, the Purple Heart.